There is just a small window of opportunity for Wiltshire buyers to own one of the final homes in the current phase of Athelstan Park. Four of the six homes in phase one of the development in Crudwell sold off plan and Edenstone Homes is already receiving enquiries about properties in a proposed second phase. What prospective purchasers may not realise is that there are still two homes on sale from the initial release and there are packages available to help buyers on their home buying journey. With a choice of Help to Buy or part exchange on offer, they are not expected to remain on the market for long. Andrea Nippe, sales director for Edenstone Homes, explained: “Athelstan Park achieved great success from the start and so people may be forgiven for thinking that we have sold all of the homes in the first phase. The reality is that we have two homes available – a four-bedroom Faringdon and a five-bedroom Kingsholm. Both are detached designs and fantastic family homes. The good news for anyone hoping to buy here who has an existing property to sell is that we may consider part exchange. Effectively we would buy the customer’s property so that they can purchase one of our beautiful brand new homes. Help to Buy is exclusively available on new build homes priced up to £600,000. Priced at £575,000 the four-bedroom Faringdon falls within the threshold for the Government-backed Help to Buy equity loan scheme. It means that it could be secured with a 5% deposit and 75% mortgage. The 20% balance is covered by the equity loan, which is interest free for five years. 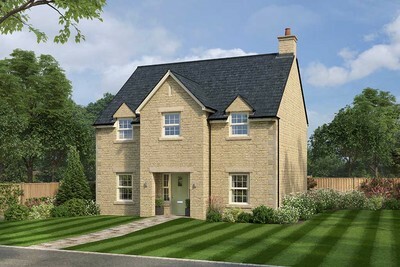 The Faringdon features a kitchen, dining and family room, plus utility, lounge, study and cloakroom. The master bedroom boasts en-suite and dressing area, leaving the family bathroom to serve the remaining three bedrooms. For those looking for a larger property, the Kingsholm, priced at £730,000 could be perfect. The well-proportioned layout includes a magnificent open plan kitchen, breakfast area and family room, with adjoining utility. This multifunctional, welcoming space is complemented by a separate lounge, plus a dining room, with a cloakroom completing the ground floor. Upstairs, two bedrooms have an en-suite, leaving the family bathroom to serve the remaining three bedrooms. The high specification in the homes at Athelstan Park includes a choice of Sigma 3 kitchens, with integrated Neff appliances, plus contemporary white sanitaryware from Roca. The new homes at Athelstan Park are being built close to Crudwell village hall and play area/ recreation ground, with Edenstone funding the installation of a pavement to link the development to those amenities. There’s a primary school nearby, plus the market towns of Malmesbury and Tetbury are within easy reach , offering buyers the chance to embrace village living. Athelstan Park is open Wednesday to Sunday from 10.30am to 5pm. For the latest availability, see edenstonehomes.com/athelstan_park.